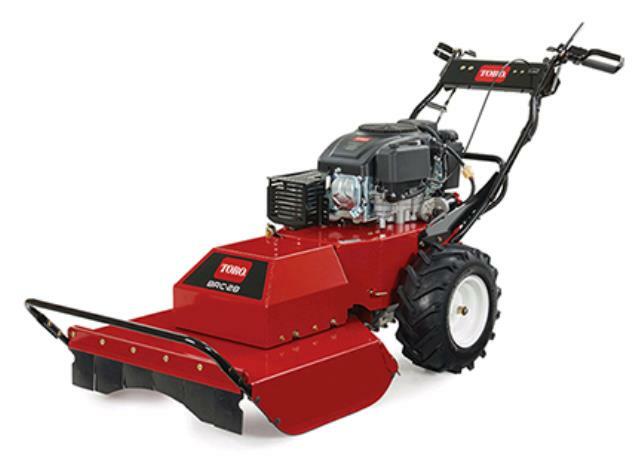 The BRC-28 Toro brush cutter is a 28" commercial duty hydro propelled walk behind brush hog mower ideal for taming overgrown lawns or fields including clearing brush up to 6' high and saplings up to 2" in diameter. Hydro drive offers clutch less variable speed drive forward and reverse to cut smoothly at the pace you select. * Please call us for any questions on our mower weedcutter 14.5hp hydro toro rentals in Portland OR, Gresham OR, Milwaukee OR, and surrounding metro area.